With Apple rumored to launch a mobile e-wallet in the coming years, potentially as soon as this year, one analysis has noted that the iPhone maker could have a leg up on previous efforts, like Google Wallet, because of the fact that Apple already has hundreds of millions of users' credit card numbers tied to their iTunes accounts. 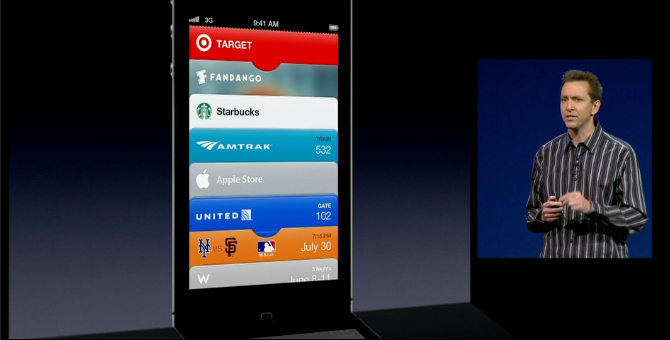 Passbook currently allows digital ticketing and store cards, but lacks e-wallet functions. Gene Munster of Piper Jaffray said in a research note to investors on Friday, and provided to AppleInsider, that he believes Apple will make a push into the digital wallet space in the next few years. While some recent rumors have suggested an e-wallet could be tied to fingerprint scanning functionality in this year's so-called "iPhone 5S," he suggested such a feature may not be likely to materialize until 2014. But the key factor for Apple is iTunes: As of January, the company had more than a half-billion active iTunes accounts linked to credit cards. Users' existing accounts are already used for purchases on the iTunes Store, App Store, iBookstore, Newsstand, and in-app purchases. If and when Apple does implement its digital wallet solution, Munster believes the company could use another wireless standard in place of, or possibly in addition to, near-field communications, or NFC. Existing NFC uses carry potential security issues, and Apple has thus far chosen to avoid adding the wireless technology to its existing iPhone models. Beyond security concerns, one of the "core barriers" to Apple's success are retail partnerships, in Munster's view. He noted that PayPal has done a good job in creating partnerships with retailers. Apple could have an advantage in this respect because of its existing partnerships with some of the biggest retailers in the U.S.: Walmart, Target and Best Buy. He believes Apple could leverage those relationships to help kickstart its own e-wallet service. 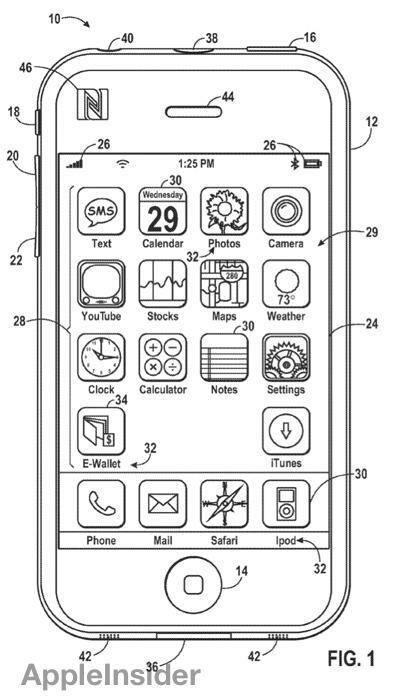 An Apple patent from earlier this year shows an NFC-powered "E-Wallet" application. But the analyst also cautioned that Apple's anticipated entry into the mobile payment space does not necessarily guarantee that the company will find success. He noted that Apple's high-profile entrance into the mobile advertising space with "iAds" has failed to live up to the hype and expectations. "We believe that Apple was never fully committed to mobile advertising as a product, and as a result Apple has not been as big a player in mobile ads as many expected when they announced," he said. Piper Jaffray has maintained its "overweight" rating for AAPL stock. The firm has a price target of $767.